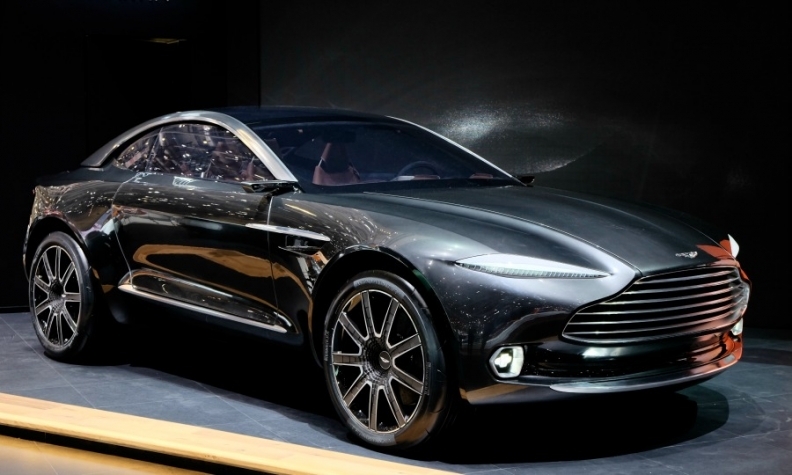 Aston Martin will launch its first SUV next year based on the DBX concept. Aston Martin is targeting a valuation of as much as 5 billion pounds ($6.8 billion) in a potential initial public offering of the UK sports-car maker, according to people familiar with the matter. The automaker has held preliminary talks with advisers about a valuation including debt that would put it on par with Ferrari, said the people, who asked not to be named discussing private deliberations. Investors' interest in an IPO this year could be bolstered by the planned expansion into the lucrative SUV segment starting in 2019, the people said. An Aston Martin share sale in London later this year would cement the brand's comeback and mark a significant test of investor appetite for English companies ahead of the UK's March 2019 break with the European Union. The company surpassed 5,000 deliveries last year for the first time since 2008, and expects to exceed its 2017 guidance of at least 180 million pounds in adjusted Ebitda on more than 840 million pounds of revenue. The valuation is a preliminary estimate and no decision has been taken on the possible listing as advisers are also considering other options for the automaker, the people said. "As a matter of policy, Aston Martin does not comment about speculation concerning future ownership or capital restructuring," said Simon Sproule, a spokesman for the Gaydon, England-based company. The automaker is controlled by Investindustrial Advisors, which declined to comment, and Kuwaiti Investment Dar. Aston Martin 2022 bonds rose as much as 0.22 pence to 105.86 pence in London on Tuesday, the most since Nov. 28, after Bloomberg News reported on the IPO plans late Monday. Aston Martin will start building the DBX SUV at its new factory in Wales next year. The company said in November that its new $150,000 Vantage model had sold out almost all of its production capacity for 2018. Ferrari has a current stock-market value of about $21.4 billion, and an enterprise value of about 18.5 times its expected 2018 earnings before interest, taxes, depreciation and amortization, based on data compiled by Bloomberg. The Italian automaker posted over 30 percent adjusted Ebitda margin in the third quarter, a rare feat that puts the company in the league of Apple or luxury goods makers LVMH and Gucci.